Dorothy's season in life came to an end on July 27, 2018, but we know she began an eternal life with God on that day. Dorothy was born September 14, 1926 to the late John and Towns Jackson Cleveland in Laurens, South Carolina. She accepted the Lord as her personal savior and joined the Mount Zion Baptist Church in Laurens, South Carolina. Her early education began in the public schools of South Carolina at Reedy Grove Elementary, Sterling High, and Sanders High Schools. After graduating from Sanders High School, she continued her education at South Carolina State College where she graduated with a Bachelor of Science degree in Home Economics. Dorothy's career in Home Economics included teaching positions at Westminster High School in Westminster, South Carolina, Thomas C. Walker High School in Glaucester, Virginia, and Yorktown Intermediate School in Yorktown, Virginia. After leaving South Carolina, Dorothy moved to Newport News, Virginia and worked as a Food Supervisor at Newport News General Hospital. 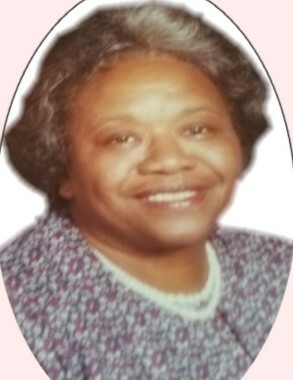 Dorothy was the beloved wife of the late Retired Staff Sergeant Wallace "Robbie" Robinson. She embarked on her career as an army wife. She loved being a military wife and was a good partner for her husband of over forty-four years. She was always a proud patriot and a member of the Ladies Auxiliary of the Retired Armed Forces. Dorothy cared deeply about social issues and strong family ties. She instilled in her students a sense of family values, fairness, and social consciousness. She was affectionately called "Miss DC" by her students and fellow teachers. Dorothy joined Grafton Baptist Church in Grafton, Virginia and served in the following positions: Secretary of the Church Official Board, Senior Choir, Missionary Society, and Adult Sunday School Teacher. She was also a member of the Grafton Rule Chapter No. 66 Order of the Eastern Star. In 1997, Dorothy returned to South Carolina to live and reunited with Mount Zion Missionary Baptist Church and continued her trustee duties, Sunday School Teacher, and President of the Senior Citizen Ministry. In addition to her parents and her husband, Dorothy was preceded in death by three sisters, Beatrice Cleveland, Bertha C. Clardy, and Clara C. Calhoun, and a devoted nephew, Robert (Bobby) Clardy (her boy). Cherishing fond memories are two nieces, Reverend Kern Gilliam of Farmville, VA., and Kaye (Mack) Calhoun Dreher; one sister in law, Dorothy Robinson; two great nieces, Alfreda (Willie) James of Gray Court, SC, and Roslyn Clardy of Laurens, SC., two special cousins, Laura E. Shell and Ford Jackson both of Laurens, SC; a special caregiver and niece, Carrie Clardy of Laurens, SC; an extended family of in laws of Virginia; and a host of loving family member, friends, and church members of both Virginia and South Carolina.